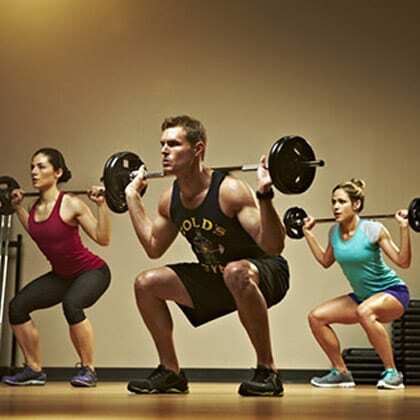 Our Crofton health club features experienced trainers who specialize in all levels of fitness. For those who want a one-on-one experience, personal training provides individual attention. 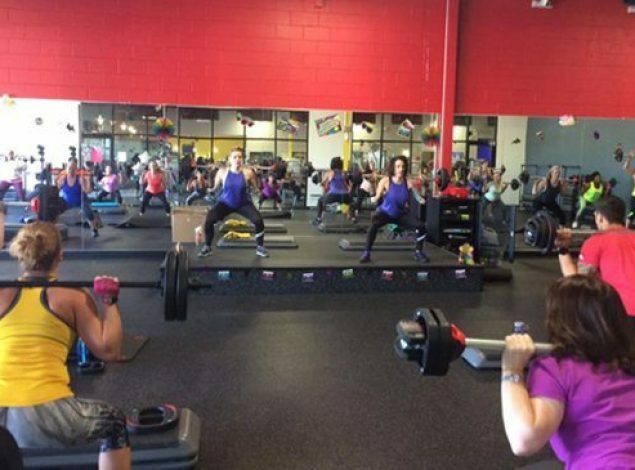 Or for those who prefer to exercise with others, try our small group training class. Get your fitness in gear with the training options at our Crofton gym. 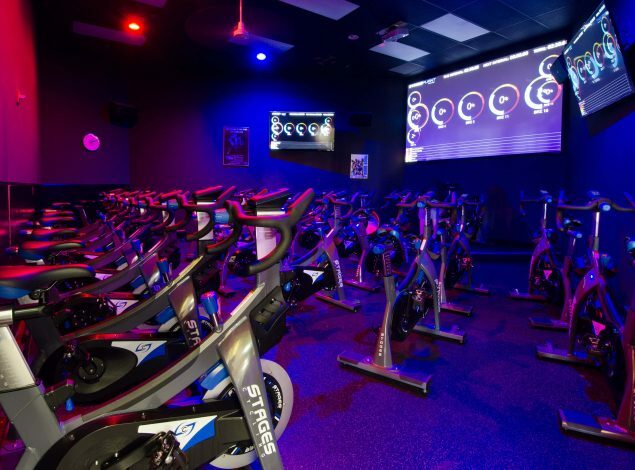 Our Crofton gym features an innovative Spin Studio where you can lean into your stationary bike for the ride of your life. When the lights go down and the music comes up, you’ll be led through a workout that revs your metabolism, burns fat, tones muscles, and improves endurance. 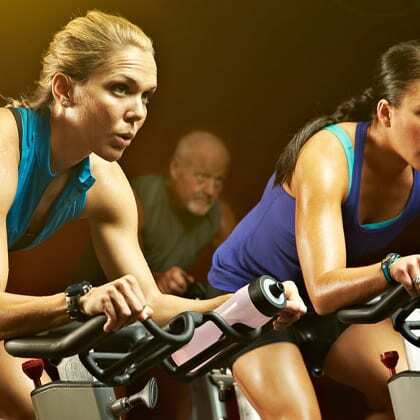 Challenge yourself to a cycling group exercise class. Enhance your mind and body health with yoga group exercise at our health club in Crofton. In a stressful world, it's important to unwind. Exercises that encourage mindfulness like yoga and Pilates benefit both mind and body. Whatever your skill level, instructors will guide you through for a stronger body and more relaxed mind. Want results? 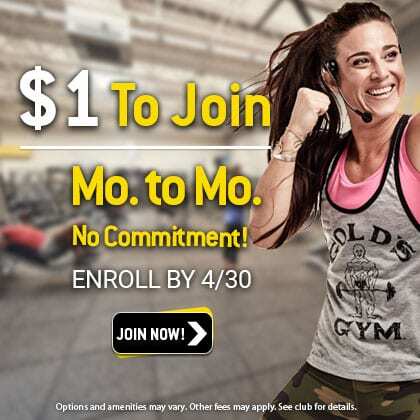 Gold's Gym in Crofton boasts an exciting array of group fitness programs designed for members of all ages. We offer mind/body enhancing programs like Pilates and yoga, exciting Les Mills classes, and classes for children such as Kids in Motion. 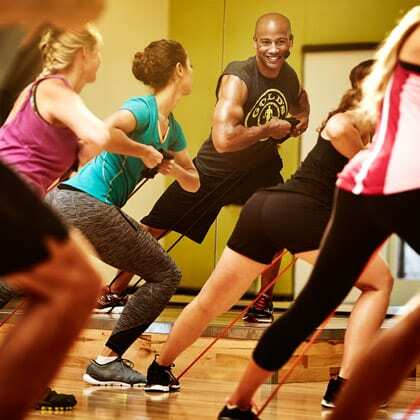 Check out our Group Fitness Schedule and find what works for you! Gold’s Gym wants to make your exercise experience as convenient as possible, and so our Crofton club offers onsite childcare to help you enjoy a worry-free workout. While you hit the Cardio Cinema or Spin Studio, know that you’re kids are in good hands enjoying supervised games, crafts, computer games, and more. You can improve your health and watch a film, too, in the Cardio Cinema at Gold’s Gym in Crofton. Enjoy movies that will hold your attention while you work out on our selection of ellipticals, treadmills, stair climbers, and more. Step up your cardio training today! 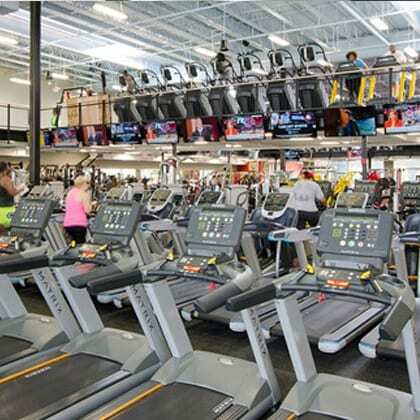 Gold's Gym in Crofton features a comprehensive array of fitness offerings designed for all ages. 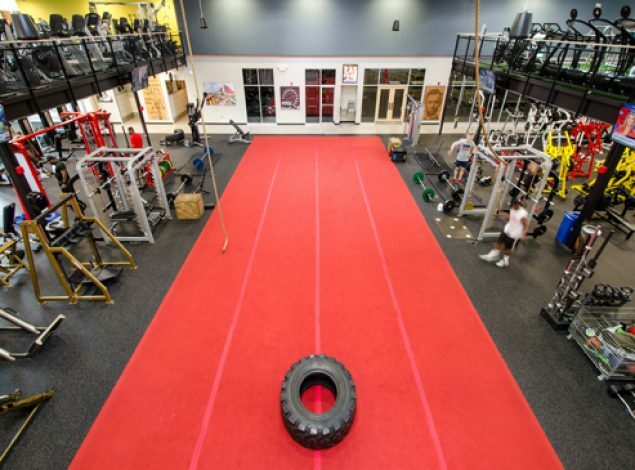 Whether you're an athlete accustomed to the gym or this is your first time out in search of weight loss solutions, we have the trainers, equipment, and amenities to take your fitness where you want it to be. 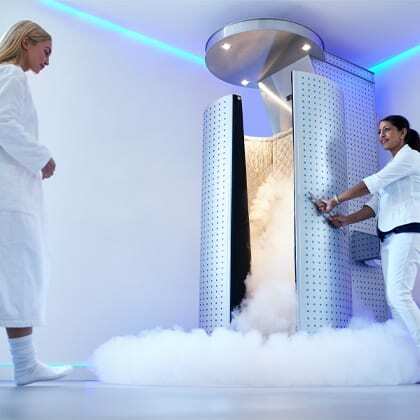 Our innovative health club is filled with top-tier equipment. Our members enjoy the benefits of personal training and small group instruction, and the motivation of group exercise classes. It’s your choice – whatever method of exercise you prefer. Mix it up by combining group fitness with a solo workout on our array of single station cardio equipment and strength training machines. Take it back a notch with Pilates and yoga; spin it up with a cycling group class in our Spin Studio. In addition to our trainers and equipment, our gym in Crofton also features a pro shop with fitness apparel and healthy snacks. 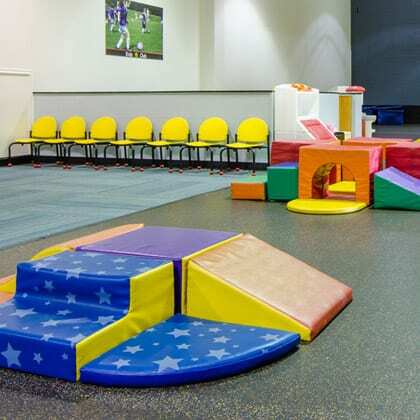 We also provide onsite childcare in the Kids Club. 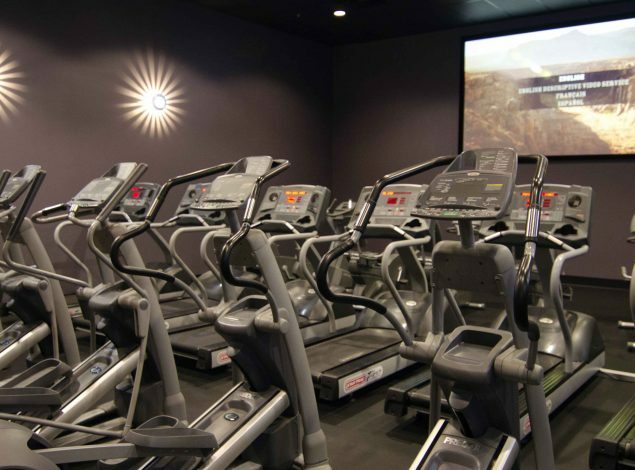 From our well-maintained locker rooms with private showers and sauna to the Cardio Cinema for heart healthy exercise and a movie, Gold's Gym has everything you need to get fit! Ready to pedal to fitness? GGX Cycle is an aerobic group fitness class that is instructor led and perfect for any fitness level. You'll challenge yourself to greater endurance. muscle strength, and calorie burn as you train on our stationary bikes. This group fitness class uses elements of self-defense, like karate, Tai Chi, boxing, and kickboxing, for a fierce and energetic workout that fights fat and kicks calories -- quickly! An instructor will guide you through this high intensity class. SoulBody Barre combines Pilates, yoga, and dance into an hour-long group exercise class that will lead to greater strength, stamina, and physical grace. Featuring choreography and motivating music, SB Barre is mindfully intense and powerful.